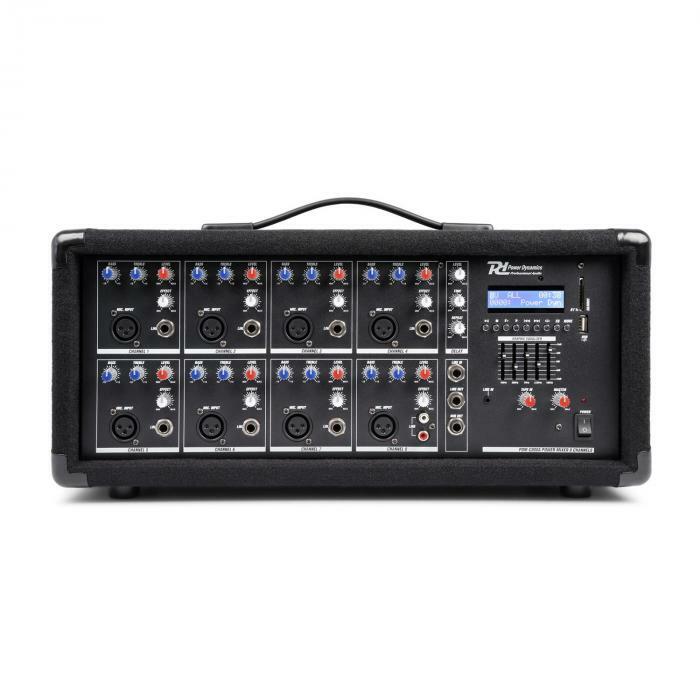 The Power Dynamics PDM-C405A 8-channel mixer with an integrated amplifier, USB and SD slot as well as a MP3 player and Bluetooth receiver is the star among mixing consoles. It is especially suited for performances by DJs, musicians and bands as well as for shows and live performances. All 8 input channels have separate bass and treble controls and an individual level control. The integrated echo-effect generator with adjustable time and repeat options can also be adjusted individually via the effect level for each channel. In addition, the sound of all output signals of the mixer is always optimally regulated thanks to the 5-band equalizer. The device is housed in a sturdy housing that protects the mixer from external influences both on stage and during transport. 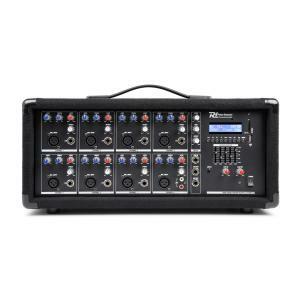 The Power Dynamics PDM-C805A 8-channel mixer will delight the music lovers who want to rely on a powerful and robust multi-channel mixer in their performances.